Buying wholesale products and selling them at retail prices can be the foundation of a solid business model. The concept is simple - a product is purchased at a low price and resold at a higher price. However, there is much more to becoming a successful retailer than just buying low and selling high - primarily determining what to sell, where to buy it, and how to resell it at a profit. Choosing the right products to offer is one of the most fun parts about a retail company. More important, the right product can determine business success. Some retailers focus on products related to personal passions such as sports or social causes. Others simply follow the trend- what's hot today becomes a product for sale tomorrow. Still others identify a market need, such as dishwasher-safe baby gear, and build a portfolio based on the niche. Before making any sizeable investment, it is key to determine that the products can be purchased at a low cost, and that there is adequate demand so the items can be sold at a profitable price. No matter the product, a key to successful retailing is in selecting the best source for purchasing the product at a low cost with minimal headaches. This step takes a great deal of legwork and research, with thousands of distributors and warehouse operations competing for business. By far, the most popular way that new retailers procure products for resale is through online wholesalers. The largest comprehensive source of global suppliers is Alibaba.com, providing large quantity or 'bulk' purchasing from vendors around the world. In addition, thousands of manufacturers are listed with directories that give retailers a range of choices in vendors. Wholesale Central: This directory lists a variety of wholesale companies and is free to access. DOBA: This company's easy user interface allows a retailer to select a diverse array of products from multiple vendors from its website. Start with a free trial, then pay a monthly subscription fee. SaleHoo: For an annual fee (less than $100), retailers access a directory of more than 8,000 pre-screened drop shipping and bulk-purchase suppliers. New customers can kick the tires first with a 60-day money-back guarantee. Worldwide Brands: This site offers a directory of over 1,000 bulk distributors and drop shippers. The lifetime membership fee is $299. Is there a fee to join the wholesale club or website? What purchase quantity is needed to get a good price? Can a retailer easily communicate with the supplier? Are there any complaints about the wholesaler? Will the company ship directly to a customer (drop-ship), or must shipping be arranged separately? Answering those questions can help you select the right wholesale company. Products don't have to be limited to those available from online wholesalers. Alternate places to find low-cost goods that can be sold at a profit include items made by local artisans or crafters, products sold at factory stores next to a manufacturing facility, and overstock or closeout sales at the local big box store. The key is making sure that the product can be sold at a profit, even after accounting for shipping and handling. Once the products and sources have been selected, it's time to tell the world about it, get products into customer hands, get paid, and provide excellent service after the sale. Retail marketing paves the path that customers take to the product. By far, the top low-cost methods for marketing today are through new media channels such as social media, banner ads on websites, and online classified ads. A retailer with a knack for writing and photography may want to create a blog and share product information on Facebook, Twitter, Pinterest or Instagram. Some manufacturers or wholesalers offer marketing materials for retail use, often for free - be sure to ask. The marketing needs to fit the product and potential customer and be tailored to best communicate the product value. Most retailers understand the importance of getting the product available for purchase worldwide by going online. Many online retailers start out by selling through well-known trusted third parties like eBay and Amazon.com. The customer selects the product and submits payment online, and the site takes a commission before passing the money onto the retailer. This is convenient, but the fees can add up. With more experience and higher sales, consideration should be given to opening a unique online store that not only promotes the product but also provides a secure way for customers to purchase. Sales can also be made in brick-and-mortar stores, at local fairs, through ads on craigslist, or via Facebook yard sale sites. Part of selecting the sales venue includes choosing the best delivery method for the products. One of the most popular ways to sell wholesale products at a profit is through drop shipping - the retailer advertises and sells the product, and a manufacturer or distributor ships the item directly to the customer's address. This allows the retailer to offer a variety of merchandise without having to maintain a warehouse. Another popular way to get products into customers' hands is to use a fulfillment service. The retailer buys in bulk and has the product shipped to the fulfilment center, which ships the product to individual customers. The fastest growing service of this type today is from Amazon.com. Some wholesalers, local artisans or crafters, or brick-and-mortar stores may not offer any shipping services. In these cases, the retailer can set up a simple shipping line in a back office using low-cost supplies and a postage meter. If sales are large enough, the shipping function may be outsourced to a third party logistics provider. Either way, it is key to ensure that the shipping and handling costs allow the retailer to make a profit on the sale. In today's world, most payments are made with credit cards, so the retailer will need to set up a merchant account to accept payments. Using PayPal or other accessible secure gateways can be easy ways to accept payments either online or in person. Fees for merchant accounts vary widely, and negotiation for reduced fees is common. 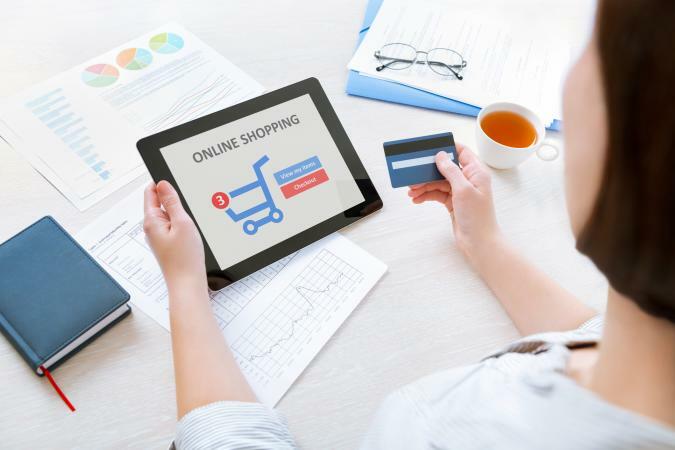 Shoppers, whether they purchase online or in a store, want to be treated fairly and have their problems resolved quickly. The retailer must be prepared to handle customer issues with product quality, shipping problems, billing hiccups and more. Small retailers may be able to handle customer issues personally via email, text and phone calls. As the business grows, the seller may wish to engage a customer service call center to handle routine problems quickly and affordably. Providing good customer service is a sure way to get repeat sales. Careful planning can avoid many pitfalls later. Business owners may wish to consider engaging a coach to ensure accountability and help cement success. Buying wholesale and selling retail can be a fun yet challenging way to make money. 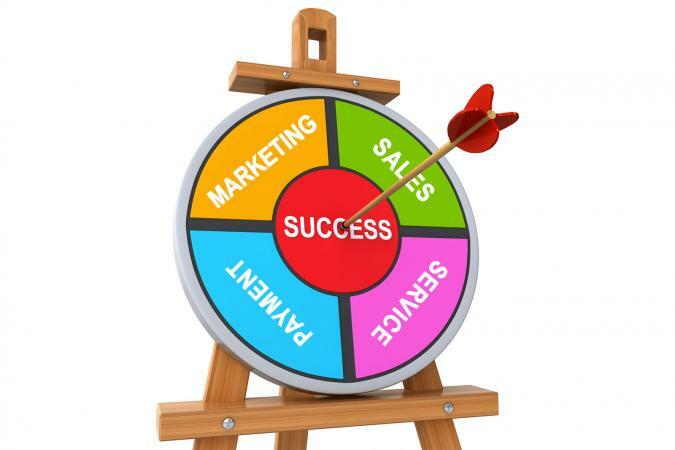 Good planning, strategic sourcing and smart marketing are critical to the business' success or failure. There are plenty of resources that allow a spirited entrepreneur the potential for success, limited only by the type and number of products to be sold combined with enthusiasm for marketing and providing excellent customer service.